"Art is an antique looking glass - what you see is a mirror of what you think, or the way you choose to view the world - in other words - the coexistence of opposites." - Quote by the Jamaican/German painter Barbara Matthews von Enger, otherwise known as Barbara von Enger. 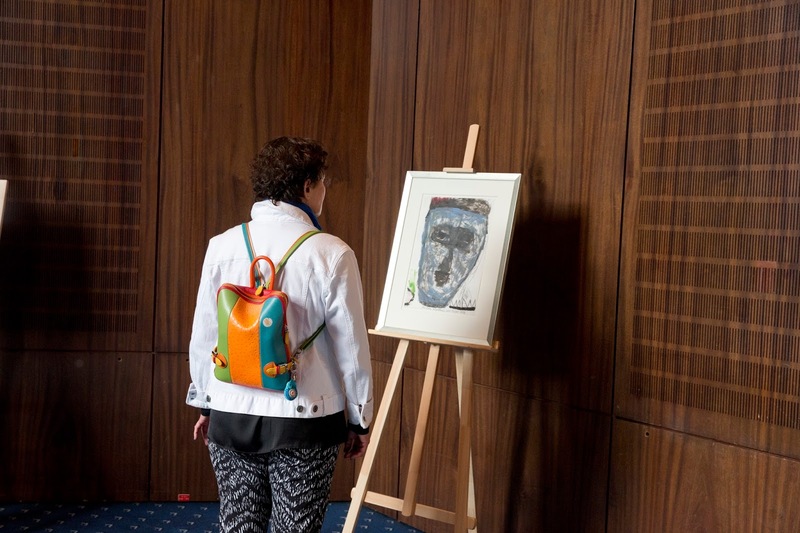 The photo below shows a guest viewing an artwork at Barbara von Enger's exhibition ( September 2015 ) in Germany.